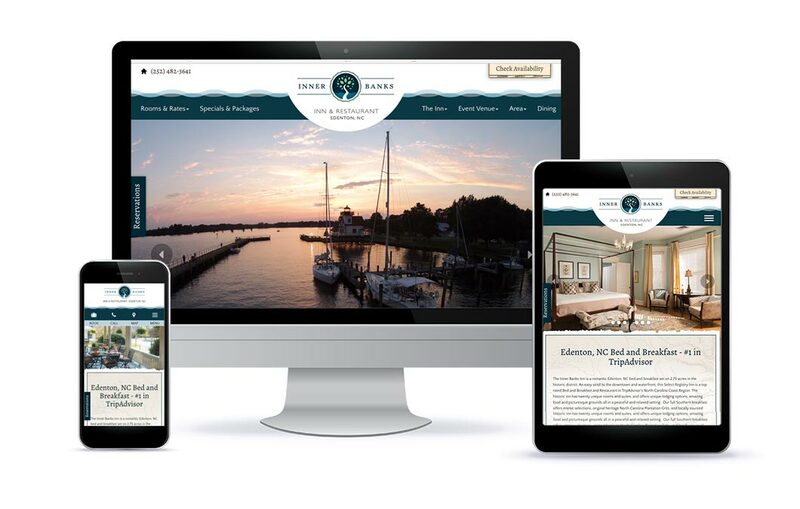 When Susan first called White Stone Marketing for web design and marketing, she had recently sold a very profitable business and clearly understood she needed top professionals in her corner with her ambitious next business idea. Susan not only understood the finer points of running a business, she also understood that she doesn’t know what she doesn’t know. 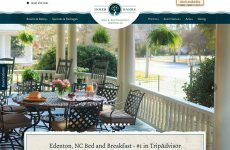 And to that end, she went looking for the best in our industry to undertake the huge challenge of buying a fledgling inn located in the little known town of Edenton, NC. The area is referred to as “The Inner Banks” but, of course, who really knows much about that region? Thus, before we even began, we had a huge challenge to solve. We had to help Susan create a destination with the new properties she purchased. 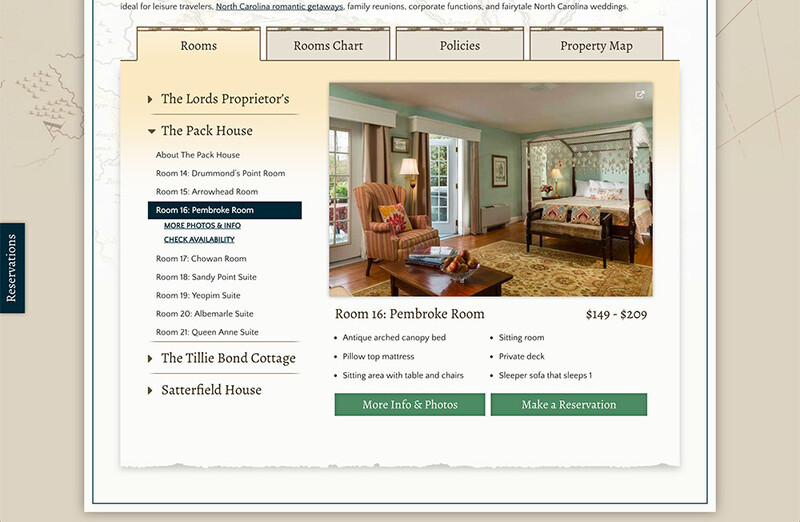 In fact, the inn was called “The Pack House” when she originally purchased the property. We knew immediately we would need to change the name and incorporate the region within the new name! 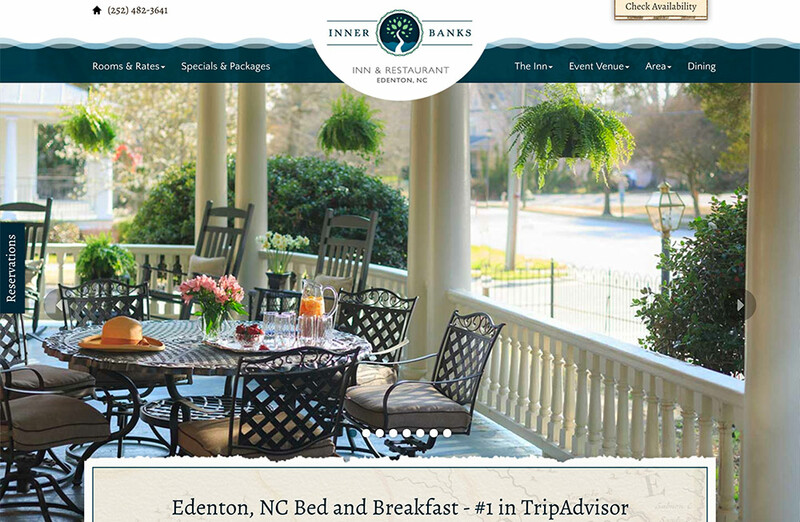 Thus, our first course of action was to create a logo with the new name – “Inner Banks Inn & Restaurant” for her romantic Edenton, NC bed and breakfast. 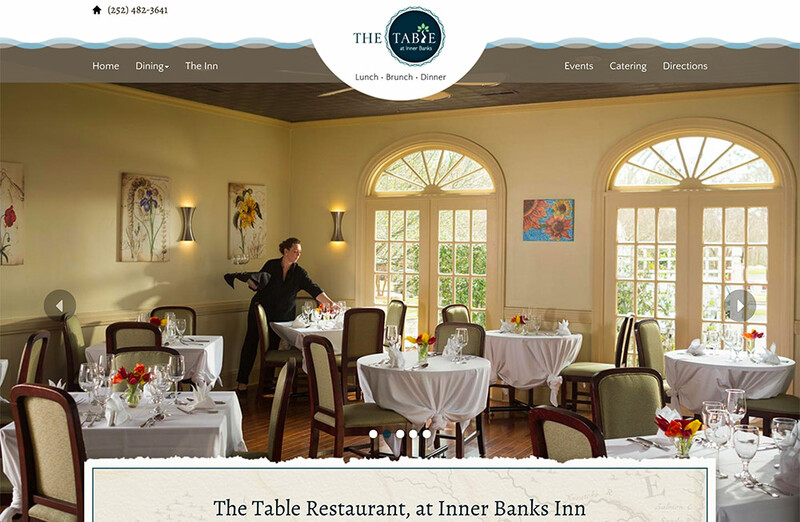 Susan also reopened the restaurant and named it “The Table at Inner Banks”. So, both the Inner Banks Inn and The Table were born! Next, a couple members of our team descended upon her to create a temporary site since the one she inherited with the purchase was no longer representative. 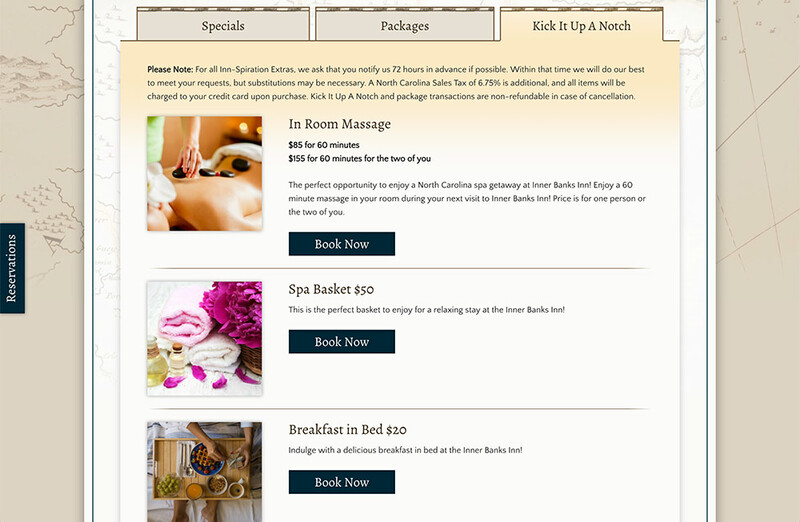 We did a quick photo shoot and worked on various marketing initiatives while there in order to get the inn up and running swiftly. Mark and Matthew of Jumping Rocks Photography came out to the property next and took the amazing photos you see all throughout the two new sites. In fact, they served as much more than simply photographers but as interior decorators and designers. 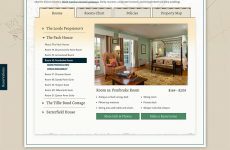 The many rooms you see are a result of their handiwork in assisting Susan with the complex job of making each room come to life in their photos. As the saying goes, “it takes a village…” and it certainly did to get Inner Banks Inn and The Table ready for prime time. But, Susan doesn’t quit, she doesn’t give in and she doesn’t whine. She is the epitome of Southern Hospitality and it will be her passion and energy that see this stunning accomplishment take shape. 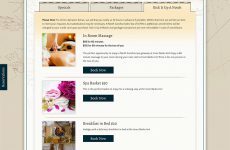 Susan – Here’s to you and to another very profitable business!